The founder of Ovation Global Strategies, Daniella Levitt, is also the founder of the gen-xyb™ program — a cross-generational collaboration, development and advancement program for women in corporations. 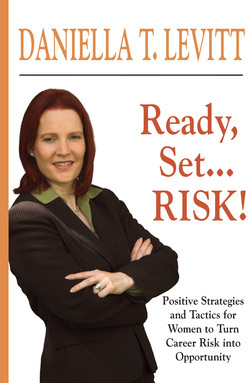 Daniella is also the author of Ready, Set...RISK! Positive Strategies and Tactics for Women to Turn Career Risk into Opportunity. Daniella has served as a resource to a number of organizations on their internal diversity and inclusion initiatives. Ovation Global Strategies provides Diversity and Inclusion consulting services, and can be tapped as a resource to provide a variety of programs that can be incorporated as part of your Diversity and Inclusion efforts. Our Diversity and Inclusion Consulting services focus on how to adapt the way you recruit, engage, manage, develop and retain a diverse array of leaders and talent for the future. Daniella will work with you to develop and implement fresh and innovative approaches to your leadership and talent management and development, including driving cross-generational collaboration in your organization and achieving a workplace culture that is more successful with its Diversity and Inclusion strategies. Leadership and talent development consulting services are designed to be all-inclusive, recognizing the critical importance of being more effective at tapping into the rich diversity of your employee and customer base, and being inclusive of all populations that can, do and will continue to make your business thrive.